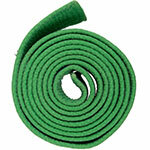 Our Learn about our Belt Ranking System and Colors of Character program. 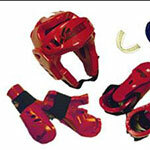 Villari's Martial Arts requires the use of foam safety Equipment for all students taking part in sparring sessions. Have Questions? Check out our Frequently Asked Question page. Join our Dojo! Sign up for a FREE Introductory Lesson! 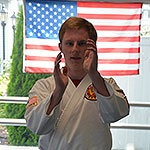 Villari's has been providing the best martial arts instuction in the Farmington Valley community for over 20 years. Three Rules of our School - Self Control, Respect for Others, and Self Discipline. 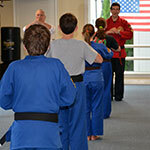 Come see why so many people have chosen to train at our dojo. Click the button above or call us at 860-658-4955 to experience a free trial lesson.